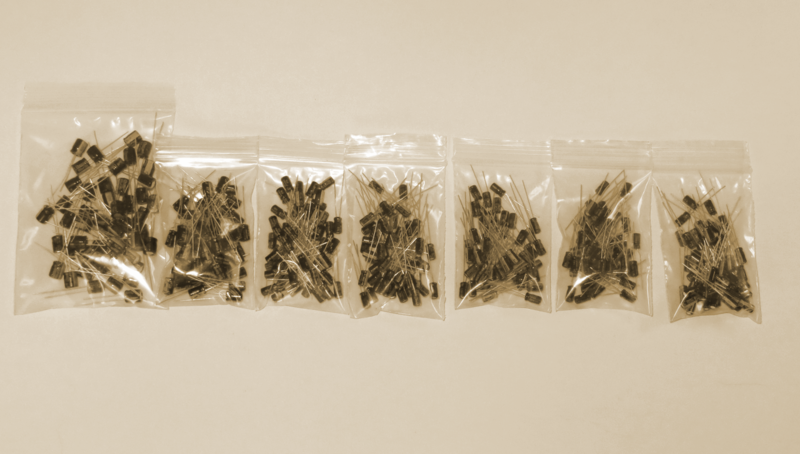 These are 20-packs of 7mm tall electrolytic capacitors. 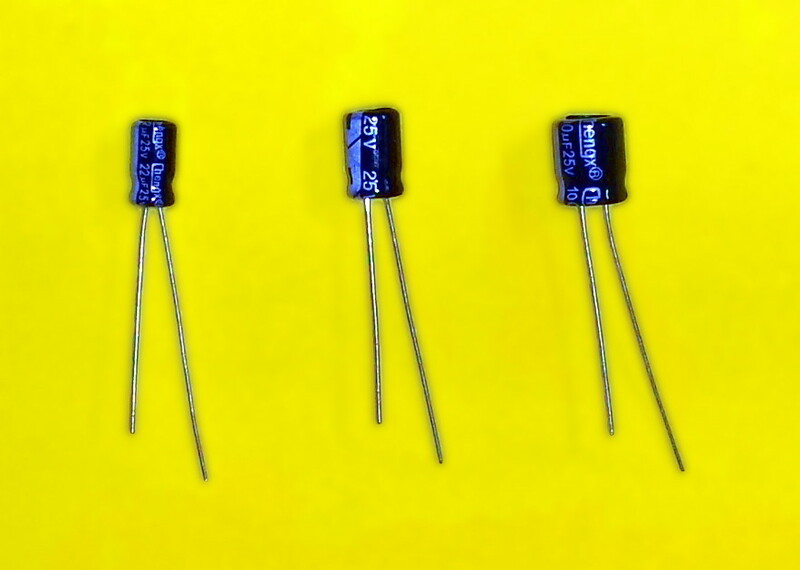 Many of the capacitors from other suppliers are 5x11mm or 6x11mm tall. These shorter capacitors may make it easier to make things fit in a shorter enclosure such as a 1590A, 1590B/1290NS or 1590BB. These are about the same height as many box film capacitors. These bags of 20 are offered in a variety of values (20 of the same value per bag). Select the value you want from the list below and add to cart. The capacitance, voltage and size are indicated on the drop-down. All of these are 20% tolerance.